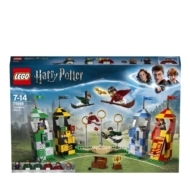 Jump on your broom and enter the LEGO® Harry Potter™ 75956 Quidditch™ Match! Join Harry, Hermione and Professor Snape™ for some magical mischief, and experience the thrill as you fly through the Gryffindor™ house tower hatch and onto the pitch. Score a point by throwing the Quaffle past the keeper and through the ring! Fire the Bludger to knock your opponents off their brooms and catch the Golden Snitch™ to win the match! Whether you're a Keeper, Seeker, Chaser or Beater, there's always plenty of fast-action fun at the Quidditch Match! 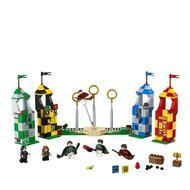 - Includes 6 minifigures: Harry Potter™, Hermione Granger™, Severus Snape™, Oliver Wood, Lucian Bole and Marcus Flint. 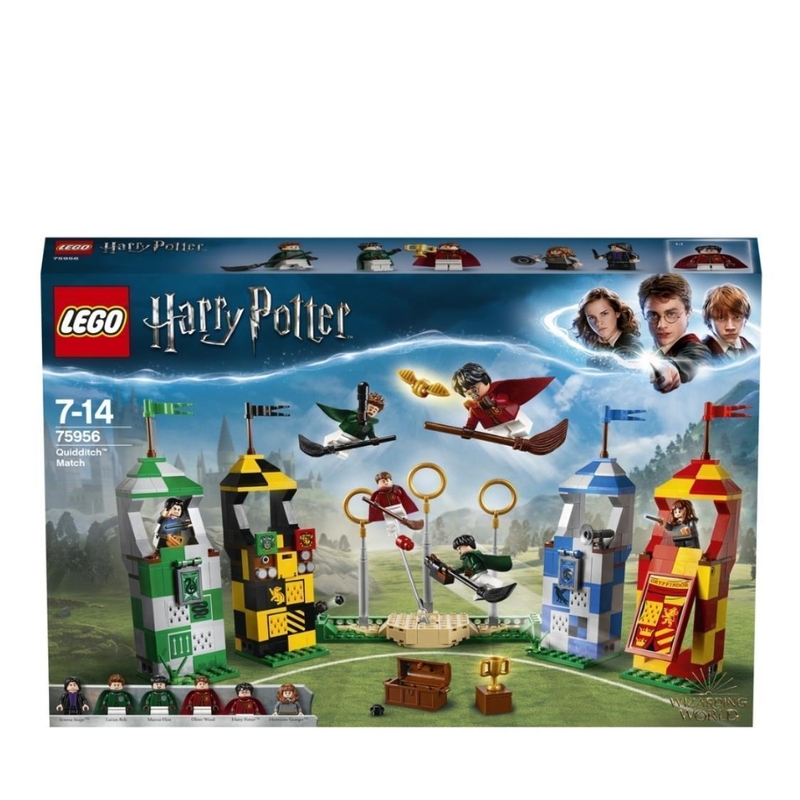 - Features Gryffindor™ house tower with an opening hatch, Slytherin™ house tower with a pop-up fire spell function, Ravenclaw™ house tower with a removable megaphone element, Hufflepuff™ house tower with scoreboard, and a base with 3 goalposts and rings, moving Keeper function and Bludger stud shooter. - Unpack the Quaffle, Golden Snitch™, Bludgers and bat, and prepare to play! - Use the Gryffindor™ house tower’s opening hatch to enter a player onto the Quidditch™ pitch. - Throw the Quaffle in the air to signal the start of the Quidditch™ match, then shoot the Bludger to knock the players off their brooms. - Fire the broom's mounted shooter to launch the Quaffle through a ring! - Move the goalpost function to position the keeper in front of the rings. - Help Hermione cast a spell on Professor Snape™ using the pop-up fire function on the Slytherin™ house tower. - Use the megaphone and shout support for your team from the Ravenclaw™ house tower. - Keep score with the Hufflepuff™ house tower’s scoreboard. - Accessory elements include a chest, 2 wands, 4 brooms, Quaffle, Golden Snitch™, bat, 2 Bludgers, trophy, megaphone and scoreboard. - Each tower measures over 7” (18cm) high, 1” (4cm) wide and 1” (4cm) deep.